This is our sweet Gumball you guys helped us save last week! He's doing GREAT!! 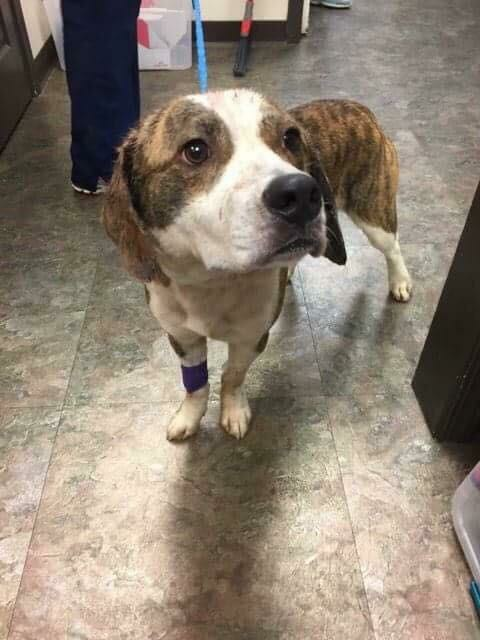 He had many puncture wounds and an almost severed ear but our AMAZING vet partners Fayetteville Animal Hospital got him cleaned up, stitched up and he's on the road to recovery! He should be in his foster home soon! He is reportedly VERY SWEET!! Thank you all again for being the reason his life was saved! You all did 100% of that!!! He would not be alive without you - THANK YOU!!! Gumball was just recently rescued from the shelter after being attacked by the other dogs in his run. He is currently being treated at one of our partner vets for his wounds. Please stay tuned for an update!